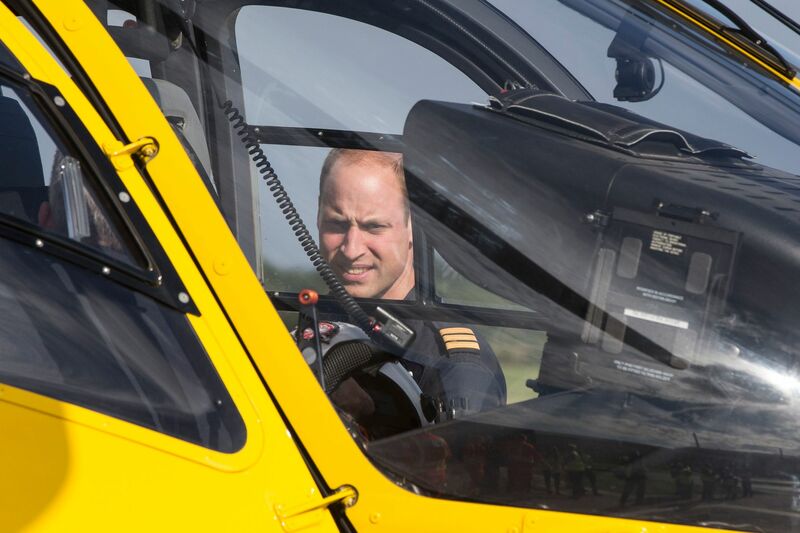 Prince William’s final day as an air ambulance pilot saw him rescue a woman hit by a police van that was racing to a 999 call. 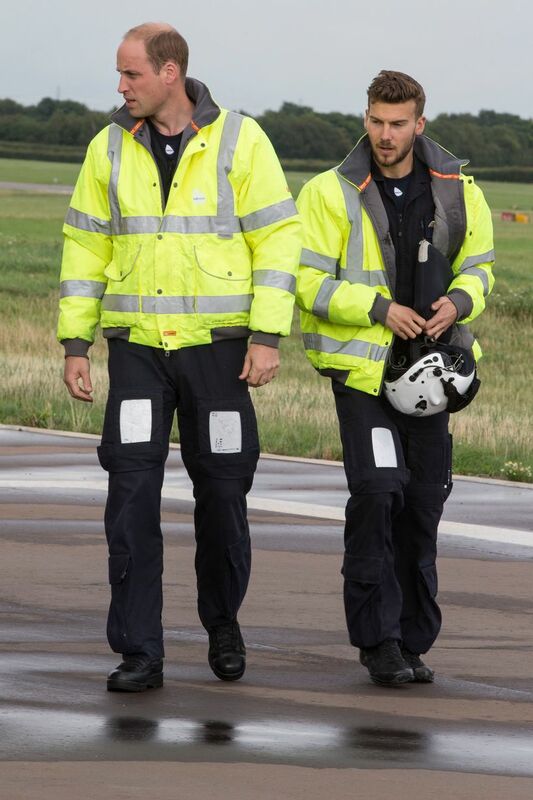 The casualty was walking along a B-road on the edge of a large village near Hethel, Norfolk when the collision with the marked vehicle happened. 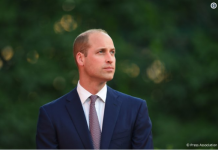 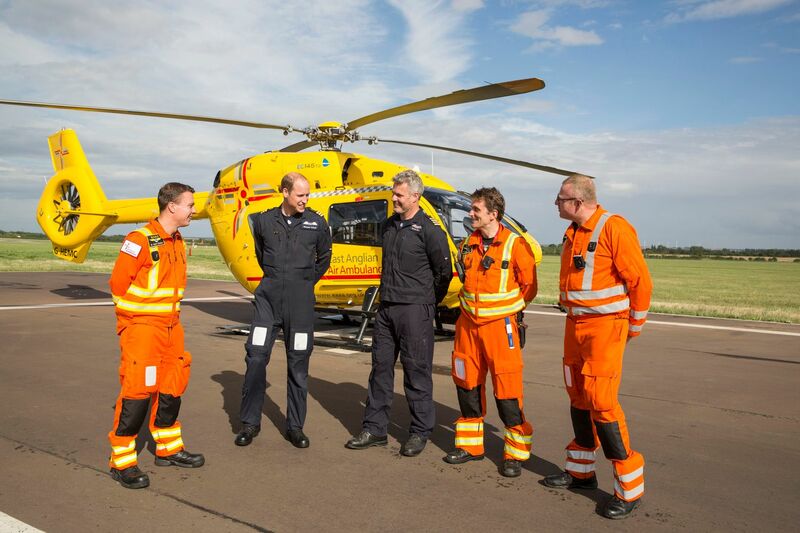 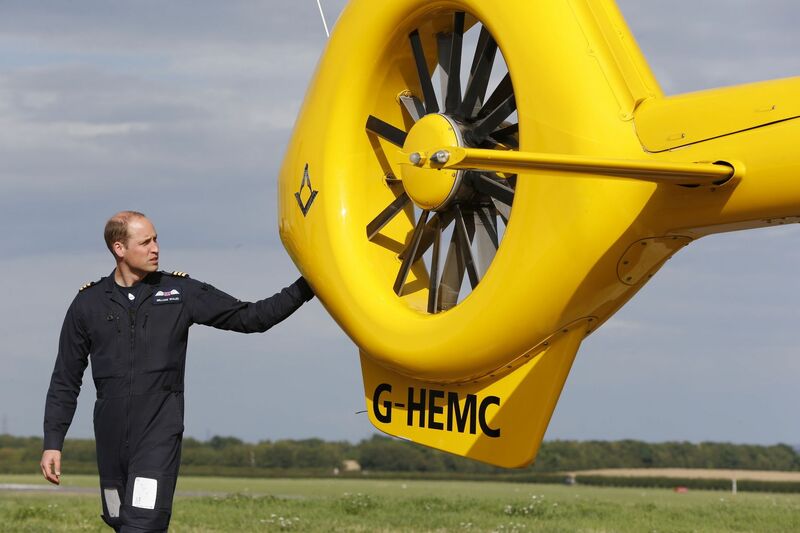 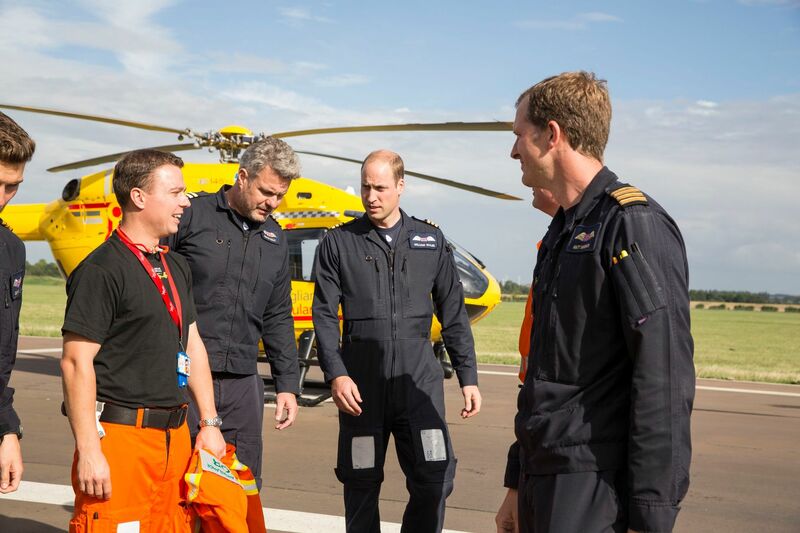 The Duke of Cambridge, who was working his last shift for the East Anglian Air Ambulance (EAAA) yesterday (July 27), flew the unnamed victim to Addenbrooke’s Hospital in Cambridge. 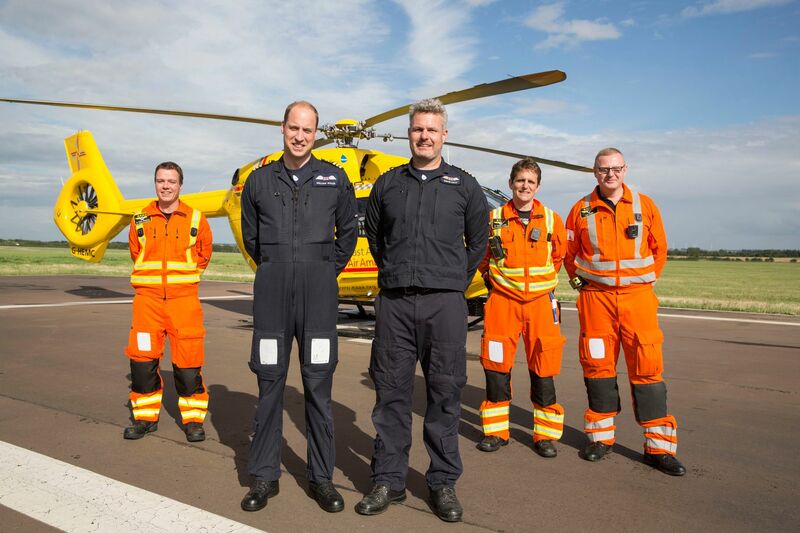 She is described as being in a ‘critical’ condition. 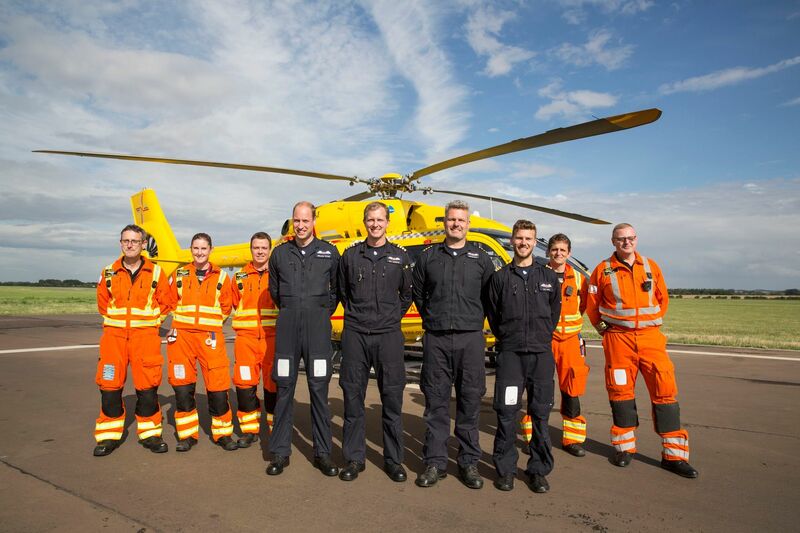 No-one else was injured in the collision which happened around 10.20pm on Thursday night (July 27). 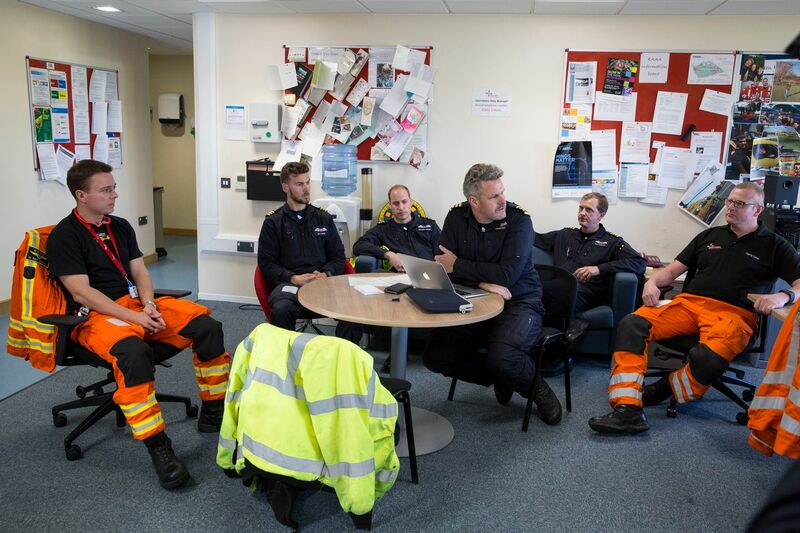 Police were in the area responding to a 999 call relating to concerns for the safety of a woman who had been reported missing. 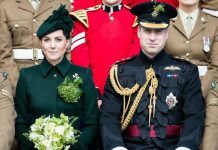 In accordance with normal procedure, Norfolk police have referred the incident to the Independent Police Complaints Commission (IPCC). 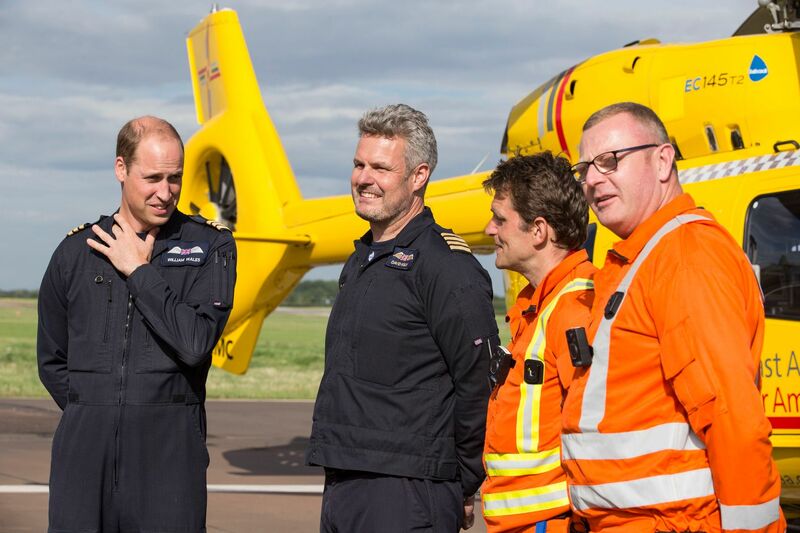 The road was closed while initial scene investigations were carried out and remained closed on Friday morning. 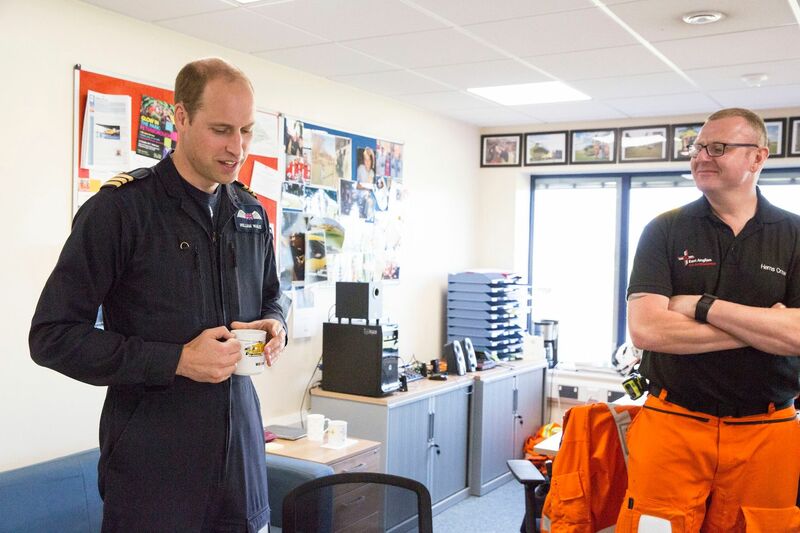 The Duke of Cambridge decided to give up his civilian job earlier this year to become a full-time member of the Royal Family. 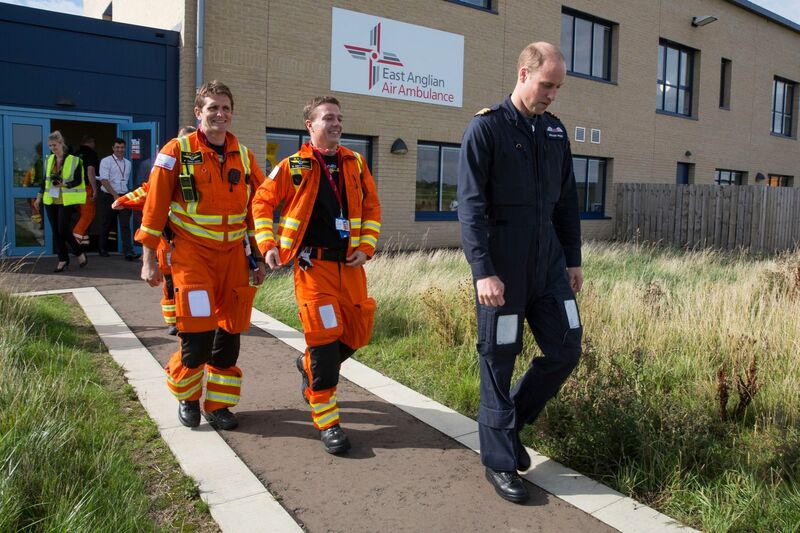 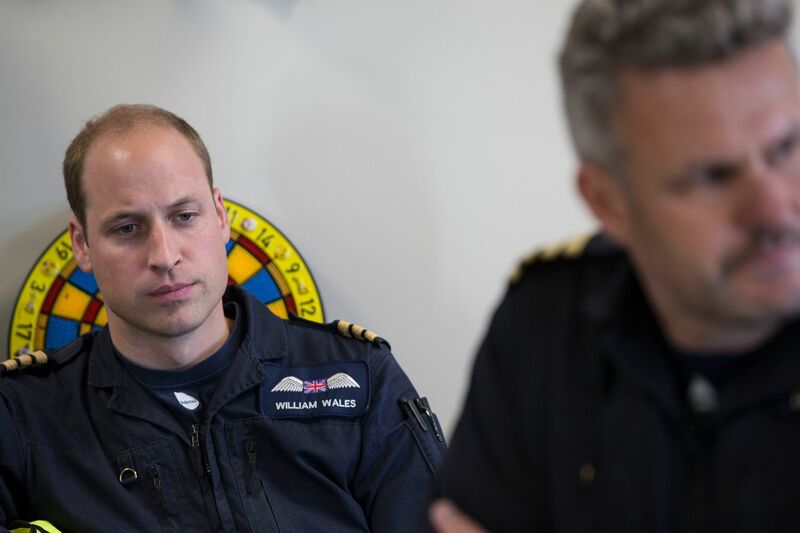 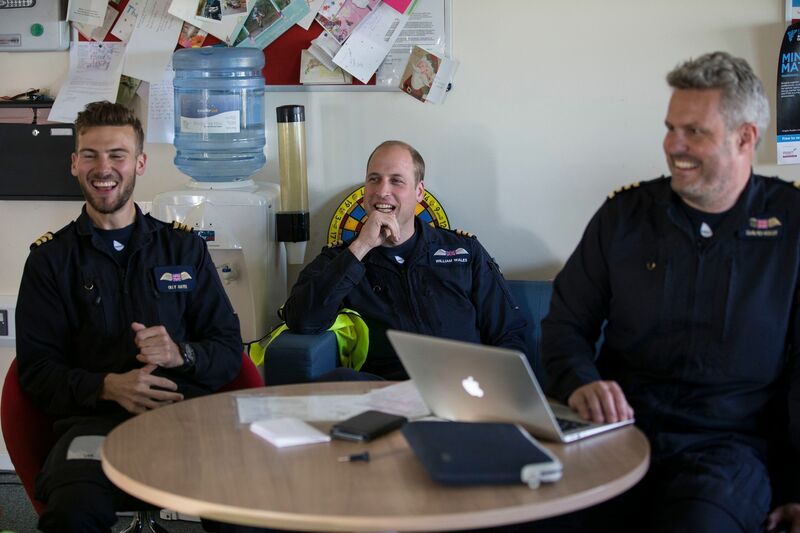 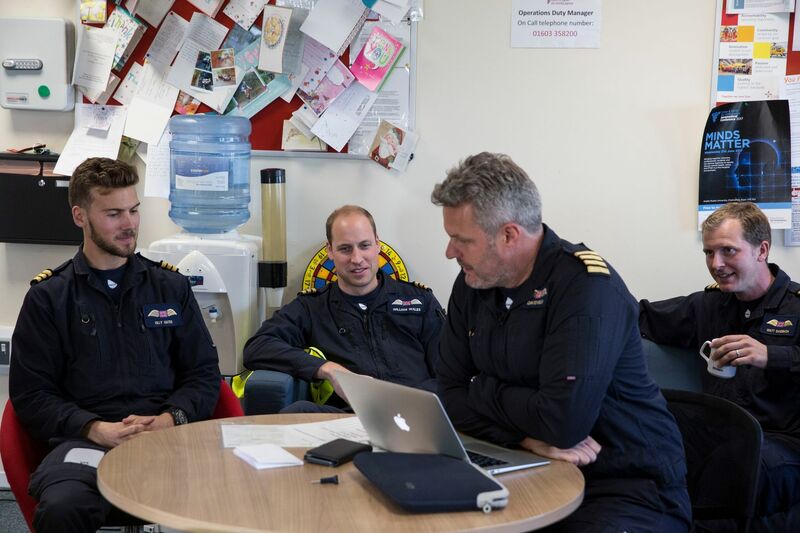 Until yesterday, Prince William worked a nine-and-a-half hour shift as part of a four days on, four off rota.